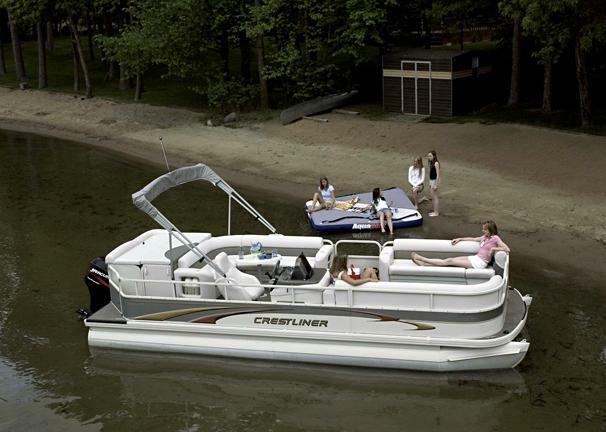 Boat Description Crestliners Sport LX 2285 is a mid-priced cruising pontoon with luxury features. It has an L-lounge with table, forward sofas, and a great helm station with a deluxe dash and sport bucket captains chair with slider. Other standard features include 23 tubes, bimini top, pop-up changing room, padded sundeck and an AM/FM/Cassette stereo.